But why are edible insects such a popular item? Though it might seem a little strange on the outset, there are tons of benefits associated with it! Not only are these tiny creatures packed full of protein, but crickets, grasshoppers, and other insect consumption can help curb environmental damage and provide a new, sustainable and healthy food option. According to the Food & Agriculture Organization of the UN, insects used as food emit significantly less greenhouse gases than most livestock, by factors of 100. And since insects are cold-blooded, they are notably more efficient at converting feed into protein. Crickets for example, require 2 times less feed than pork and chicken, 4 times less feed than sheep, and 12 times less feed than cattle! That is quite significant. Rich in key nutrients such as fiber, iron and Omega-3 fatty acids, cricket flour is a sustainable way to create crunchy, delicious snacks that are easier for the environment. Bitty is able to easily accomplish their mission since crickets consume less water compared to other creatures, create less waste, and do not produce greenhouse gases. Crunchy critters offer just that -- a host of crunchy, delicious insect snacks that are low in MSG, and high in fiber and protein. Whether you are just starting out on the insect trend or looking to diversify your insect consumption, Crunchy Critters has something for everyone. Some of their products include ants, edible insect powder, cheese and onion crickets and even waterbugs! Really looking to try something new? Why not try their edible insect recipes, such as the Cricket Kofta Patties or the Ant-y Cheese Biscuit! JR Unique Foods strive to live by their name, and their product offerings demonstrate how successful they are. 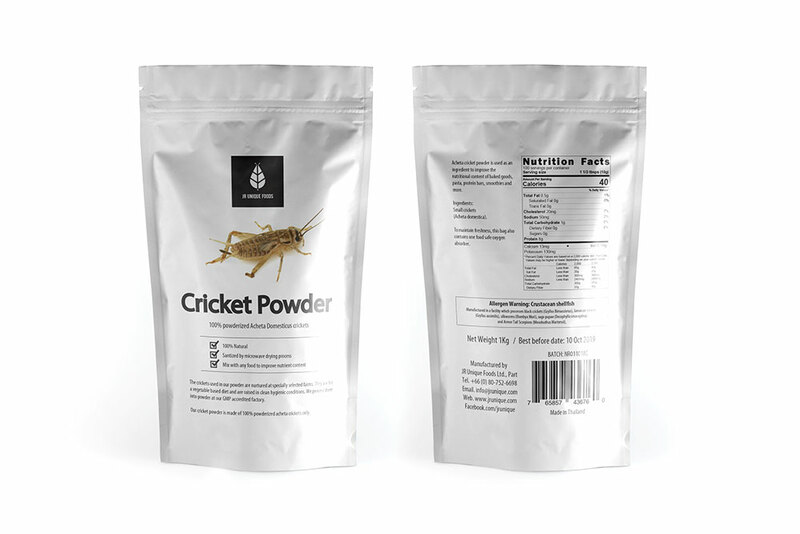 Rather than focusing solely on snacks, this company aims to appeal to insect consumers in more versatile ways by creating products such as cricket pasta, protein shakes, and even ready meals with insects as the front and center of each product. JR Unique Foods promises that their products are natural and organic, and work with professional chefs and nutritionists in order to ensure that the food they create truly offers as much benefit as possible to consumers.